Rinse and pat dry the cabbage and cut it in half. 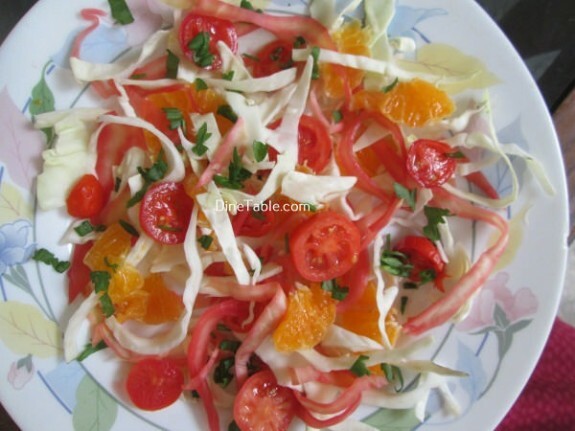 Place the cabbage cut-side-down (on a dark cutting board as the color can stain). Thinly slice the cabbage working around the edges. Slice nearly to the center core then discard the core.... 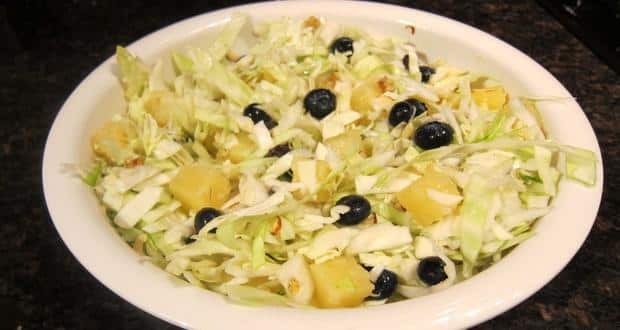 The ideal time frame seems to be between three and six hours ahead of time -- long enough to thoroughly chill the salad and mix the flavors, but short enough that the cabbage and other vegetables stay crisp. You cut the head of cabbage in half or into a portion that will fit in the box and use it (box) to slide back and forth over the blade. This protects your fingers. The entire thing sits over an open container that the cabbage falls into. In the case of kraut, the "kraut cutter" would lay over the top of your crock the kraut is going to ferment in.